Coffee may seem like a lifeline for many people in the U.S. When they wake up in the morning for school or work, they brew a cup before leaving the house or stop at their favorite shop on their commutes. The bitter goodness provides them with the extra boost of energy they need to get themselves going in the morning. However, not all countries drink coffee like North Americans do. According to Euromonitor International, the continent's citizens consume nearly 134 billion cups of joe annually, while China's inhabitants only drink 4.5 billion, The Wall Street Journal reported. This difference has limited coffee chains to select areas, but companies may see an opportunity to expand into China as urbanization grows and the country's economy slows. China is predominantly a country of tea drinkers. 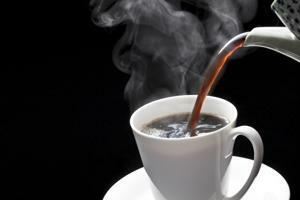 However, Euromonitor predicted coffee consumption will increase 18 percent by 2019, according to The Wall Street Journal. This growth comes as a result of the country's urbanization and an increase in travel to java-drinking locations, National Geographic explained. As the larger cities become populated with young middle-class businesspeople, China's procurement of coffee has had to increase as well. On trips to areas such as the U.S. and U.K., citizens have become accustomed to drinking the bitter beverage. Large coffee corporations have realized the potential in China's market and have begun to expand their businesses overseas. Starbucks has plans to increase the number of its restaurants in China to more than 3,000 by 2019 and U.K.-based Costa Coffee will add 600 new stores by 2020, The Guardian reported. Increasing business in China also benefits Brazilian and Chinese farmers, the source claimed. Starbucks uses strategic sourcing from the Yunnan region, which exports approximately 70 percent of its production. However, to meet higher coffee demands and to reach Starbucks' sustainability requirements, these farmers may see an increase in revenue and find ways to improve their growing methods. Local coffee consumption could help boost China's economy, just as it may for Brazil, where coffee prices have fallen due to a slow market, The Wall Street Journal explained. While expansion into China would enlarge the consumer base for many businesses, it isn't the main way to gain a larger audience. Anyone can open a store, but that doesn't mean it will be successful. To fully incorporate itself into China's lifestyle, international coffee companies must also adhere to cultural norms. The prices for Starbucks and Costa's products in China are much higher compared to those in other locations because they want to establish themselves as premium coffee suppliers, The Guardian explained. The country's citizens believe higher prices signify better quality, so beverages from these companies are seen as commodities. "The more expensive the better," Esther Lau, a research analyst with Mintel, told the source. "There is still this concept in China, and Starbucks and Costa realize this. They want to brand themselves as premium chains. That's why they price slightly higher in China." International coffee corporations also incorporate Chinese treats and delicacies into their menus. Because citizens aren't yet accustomed to the bitter taste of traditional coffee beverages, Starbucks and Costa have added a variety of sugary and milky drinks such as frappuccinos and lattes, according to National Geographic. They carry green-tea based pastries to appeal to traditional tea drinkers as well. The stores sell specialties, like mooncakes and zongzi, around the celebrations of Mid-Autumn Festival and the Dragon Boat Festival, respectively. Tea may always remain the traditional drink of China, but to appease the younger, urbanized citizens, companies will need to add coffee to their menus. By expanding their supply chains internationally, coffee corporations could see increased revenue and aid in helping other countries' economies.